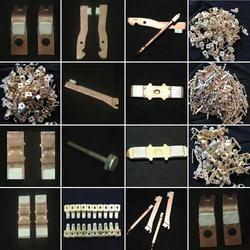 We are a leading Manufacturer of brass product from Thane, India. Our organization is engaged in manufacturing and supplying optimum quality Brass Product. This Brass Product is manufactured with high grade material & modern techniques compliance with the set norms of industry. Also, we deliver this brass product from our end after testing properly on numerous parameters. Customers can avail the offered brass product from us at affordable rates and within the given time period.